For those of you who have been around awhile, you know I'm a fan of composting. Sadly though, I had to bid adieu to composting. Seems our compost was becoming a fine French Restaurant for all the neighborhood critters...which was not our backyard plan at all! All still perils of the closing the the greenest school in America, now almost 5 years ago! 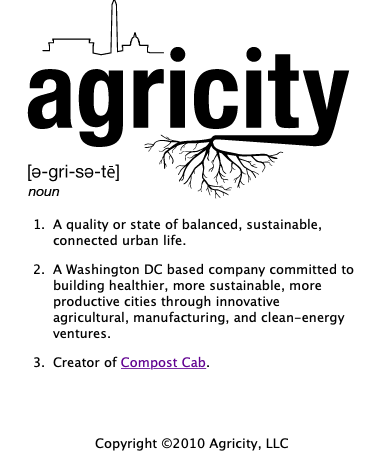 If I lived closer to Washington, DC, I'd be sure to be in touch with Compost Cab. They could bring about the trifecta: tackle my food scraps while satisfying my environmental desire to compost... all the while without catering to the critter cafe. Yes! I could once again (to modify their tagline) be a Waste Zero Hero! 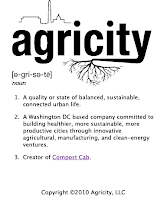 Created in 2010 by Jeremy Brosowsky and a production of Agricity, Compost Cab's mission is to help "urban agriculture thrive." Not only does it center around local, homegrown food, but it helps work to reduce waste by using that food waste to create soil! Compost Cab provides its clients with a bin for food scraps. A key component: "If it grows, it goes" (in the bin). They weekly come by to collect your compost, leaving another bin bag for your following week. Your big takeaways (as they take away your compost) is that you are reducing what's carted away to the landfill, you're helping to create soil at Engaged Community Offshoots in College Park, MD, providing great soil for local farms or community gardens. Compost Cab also has an Education component. 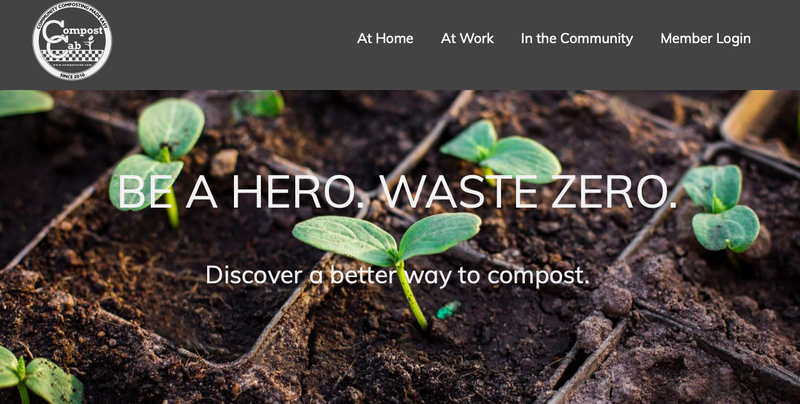 They will bring their "Compost Academy" and curriculum to your school to teach kids how to compost, perform "waste audits" of the school, or bring their services to your school. Compost Cab has two goals: make it easier for people to compost, and easier for urban agriculture to thrive. They achieve these two goals by providing home and commercial composting services, and by partnering with urban farms and community gardens to build soil in the city. To learn more about composting, check out their websites Resources, click here.